Super cute! Comes in 3 other colors. I love the buffalo check on this dress! Would be super cute with a jean jacket. I have this dress and love it! It comes in so many colors! Kind of thinking I need this chambray top. SO cute!! I have these OTK boots and I love them! They are tts! My favorite tunic! Have it in 3 colors! This jacket is so cute! I really like the faux fur around the collar. 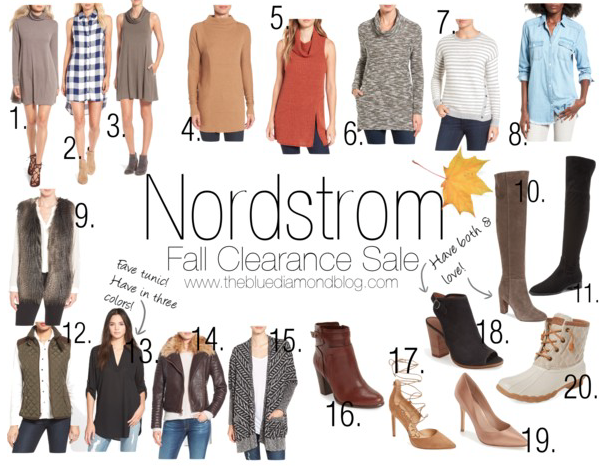 Nordstroms Fall Clearance Sale is in full swing! You can get up to 40% off sale items, so don't wait, sale ends the 13th! All of my picks are under $150!